I've also taken a little bit of a break. Doing enough work not to let my clients down and using the additional time to immerse myself in some other projects. I'm a sewer (one who sews, not a channel for human waste. heteronyms = fun), so it's been purses and totes all over the place! To get us through this, I thought about hosting a book swap, but I feel the problem is we're weighed down with too many books. Not having enough to read doesn't appear to be the problem! So in the spirit of the giving season, why don't we clean some shelves out instead? I know it's difficult to give up your books, but think about the people who really need them. I will accept pics (and will post favorites) until January 4, 2010. At that time, I will enter the names of all who sent donation pics into Random.org and choose three. ***AMENDED: PLEASE GO HERE TO ENTER FOR THE GIVEAWAY*** Those three winners will receive custom made totes from me! I will email you pics of my available fabric and have you build one you like. The pic above is of two I made recently. And here is the official The Dewey Tree donation project button! Please help me spread the word (and the button!) 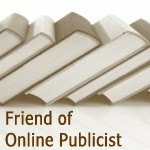 to bring our book blogging community together in the spirit of spreading the love of reading. What a great idea! I will take a look at what I have to pass on to my local library! I already had a box of children's books that I have received for review and posted already. But I donated last week to my daughters preschool! Darn it I knew I needed a picture of it! This is a great idea! Count me in. This is such an awesome idea, Lisa! You rock! I had Hannah take a book to her classroom today that I bought extra of from Amazon, but don't have a picture. I think that I will round up several books around the house and do some donating - goodness knows we have enough to spare, lol. I LOVE your totes! You are the handy dandy crafty one, my friend!! Awesome idea Lisa! I am always looking for ways to create new interest in reading, especially in children. Will be rounding up some books this weekend and taking them to the library donation center! Oh boy, you caught me just in time. I have a stack of books to take the AAUW; they run a huge book sale every year and raise money for scholarships. I'll be sure to take a photo! What a great idea! Lisa, I will absolutely participate. I have quite a few books that I have been holding on to for 3yrs or more. I'm someone else would enjoy them! I'll do this. Can I write "In Memory of Dewey" in all the books? This is a great idea! We just cleaned out our books last month to give to charity, so I won't be able to participate this time. (A local girl was collecting books for a women & children's shelter as her senior project in high school.) If you do this again sometime next year I'll try to participate though. Thanks so much for the support, everyone!! I've heard additional suggestions for donation sites: women's shelters, teen parent day care centers, military serving overseas, and nursing homes. Let me know if you have more! Cheryl: writing in each book 'In Memory of Dewey' is such a fantastic idea. So incredibly thoughtful. 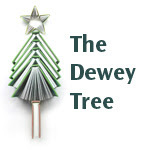 If everyone likes this project, I will work on making it an annual event and have stickers made with The Dewey Tree image on it. Can you imagine going to your library, picking up a book, and seeing that in it? Awesome. I plan to donate some books to my local library and will send a photo when I do. This is such an awesome idea! Count me in! I too just recently donated a bag of books to my local library, but this is such a wonderful idea, I am going to go through the stacks again. If not, I might attend the next library sale (Dec. 12) and buy a stack or two to donate to a local shelter. This does sound like a beautiful thing in memory of Dewey. Although I just donated about 40 books a few months ago (to our library), I'm sure I can find another pile of 10 or so to donate. Thanks for coordinating such a wonderful thing. Thank you for bringing this to my attention! I can't wait to post about it and participate! What a wonderful idea. I have some that I've been meaning to donate to my local library & see what other local charities take used books. I'd love to help out but I just got rid of a pile! Maybe I can gather up some old ARCs though. I posted about this today. Wonderful idea. Please count me in. Beautiful idea, I'm there. Thanks. This is an awesome idea!! 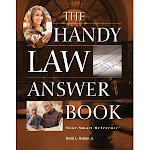 I used your link to find a place to send some books. I have also posted about this at my place, Just Books. Have a great day! What a wonderful idea! Count me in. I am very new to blogging. I don't really have a great blog right now, and not many people will see it but I will post about this project. What a wonderful idea! And such a nice tribute to a Dewey who has inspired such a love of books among the blogging community! I am sure I can find some books to donate! Thanks for the wonderful giveaway! I'm definitely in. This is a fabulous idea. I'm going to try to download the graphic and make my own stickers. Thanks so much! This is a great way to honor Dewey, and I LOVE your graphic. I regularly donate my books and magazines to a local hospital. I'm so sorry it took me so long to post about this, Lisa; insomnia has made me fairly non-functional lately! I did take two bags of books to the AAUW this week, but forgot to take my camera. Thanks for hosting this.